Part of our mission at Healing Hooves is to provide other professionals with high quality information, resources and direction in the areas of Equine and Animal Assisted Therapy. We have been offering professional training at Healing Hooves for over fifteen years. While our training program is designed to meet the EFW-Canada core requirements, as per Canadian and International best standards for certification Healing Hooves is independent of and separate from all professional associations developing and implementing certification programs. 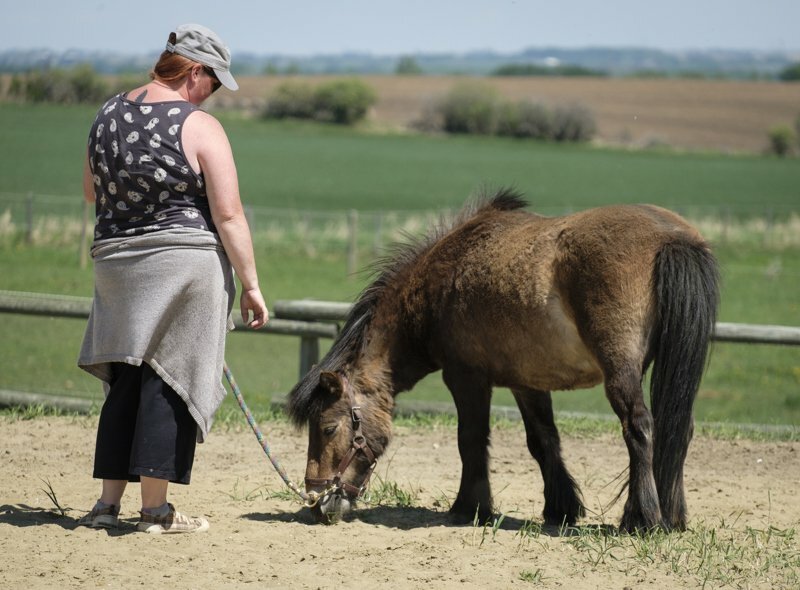 Healing Hooves training workshops are recognized and pre approved by the Canadian Counselling and Psychotherapy Association (CCPA) and the Alberta College of Social Workers (ACSW). They have also met continuing education and certification requirements for many other professional bodies for many years. 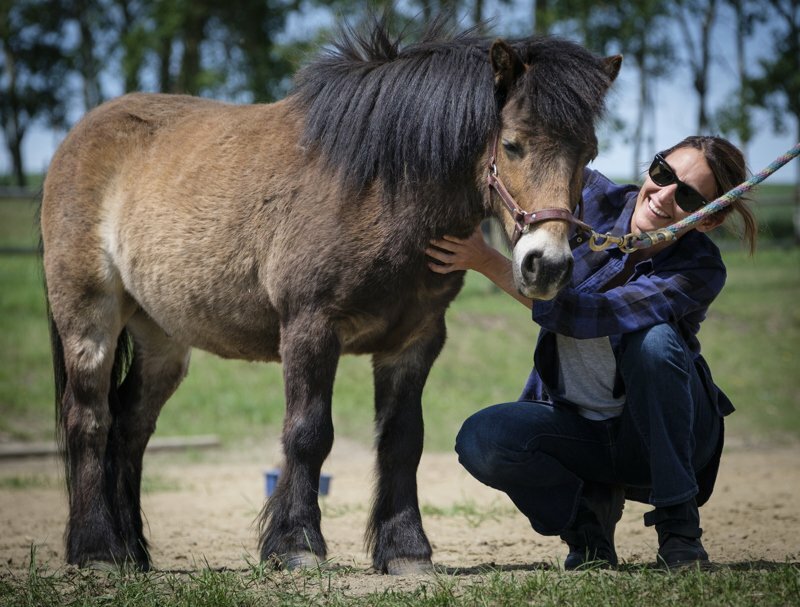 A number of models for certification in the Equine and Animal Assisted Therapy fields are explored at Healing Hooves trainings, including the EFW – Canada Model. Each step of the Healing Hooves training process is described in detail below, with current dates available on our Facebook events page. The Healing Hooves training approach is firmly grounded in the developmental and attachment based paradigm of Dr Gordon Neufeld, with whom Sue McIntosh has extensive training. Sue McIntosh is also a Certified Canadian Counsellor and a Triple Certified EFW Canada Trainer, mentor and practitioner with over twenty years of experience in these fields. 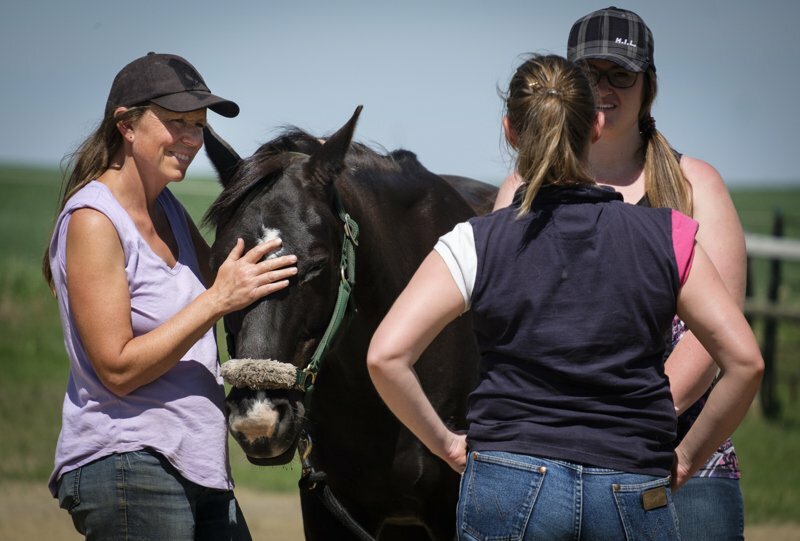 Key aspects of Centred Riding, Connected Riding, Connected groundwork and T-TEAM have been integrated into the Healing Hooves approach and are taught at trainings by our long time equine coach Sue Falkner March. We have published a number of therapeutic children’s stories featuring the Healing Hooves animals and sharing their stories. 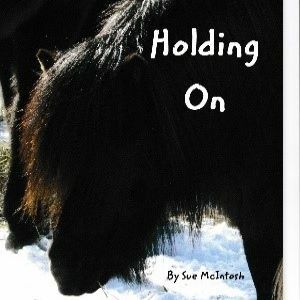 All proceeds from the sale of these books subsidise counselling and equine therapy sessions with low income families and/ or help finance the physical needs of our therapy horses, dogs and cats. Grounded in attachment theory and developmental science, each story covers a different therapeutic theme including emotional expression, resilience, recovery from loss, forgiveness, and relationship conflict. They are also simply fun, engaging and amusing stories holding universal applicability to all children and their parents. Share these stories with your children and clients to help you address potential areas of concern in a fun, engaging and non-threatening way, bring you and your child closer, strengthen your relationship and improve communication. 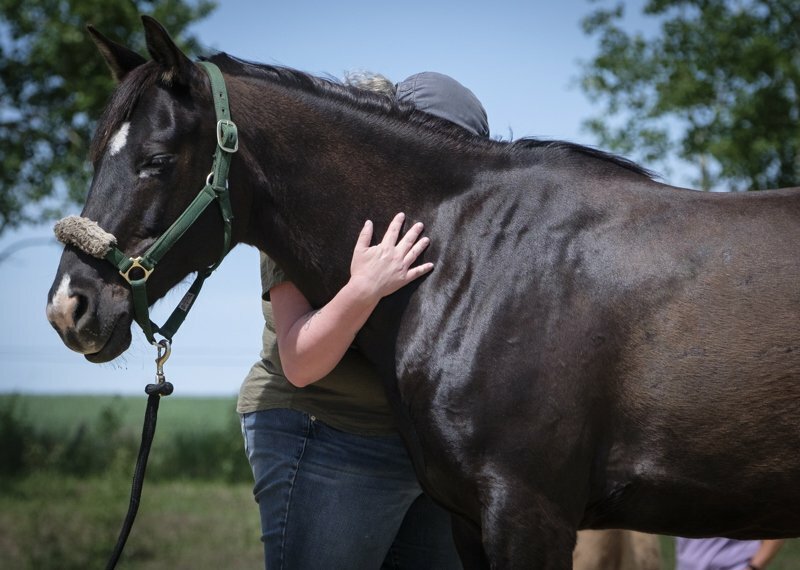 This small group experiential workshop explores the growing fields of Equine Facilitated Wellness and Animal Assisted Therapy. This workshop has been offered at Healing Hooves for the past more than ten years and is the first step for anyone interested in learning more about EFW and AAT and/ or about incorporating animals into their work. While this workshop introduces the work of Dr. Gordon Neufeld and its application to EFW / AAT (the underlying approach at Healing Hooves), and is designed to meet national certification requirements, its focus is broad, and the aim is to explore and introduce a wide range of approaches and theories within the EFW/ AAT fields. The next step in the EFW training experience is a small group intensive and interactive training opportunity for people who want to explore in more depth the many different aspects of working in the field of EFW. It is offered over 2 separate sessions of six days with an additional distance learning component. This training includes opportunities to apply the theories learned to different client populations and scenarios through real life case studies, practice work with the horses, personal growth opportunities and interactions with Healing Hooves volunteers and former clients. This training is firmly grounded in and explores the developmental and attachment based approach and paradigm (taught and developed by Dr. Gordon Neufeld www.gordonneufeld.com) which has been integrated into the approach at Healing Hooves. Relevant aspects of Centered riding, T-Touch and TEAM, Connected groundwork and riding, and natural horsemanship are also incorporated into this training. Come join us on a journey of personal discovery, development and growth with our team of two and four legged healers and guides. So often a day – or perhaps just a moment – with a horse can provide breakthroughs, insight and healing where years of more traditional work has not. We invite you to come experience the acceptance, rest, empathy and joy that so many others have told us they first felt in the presence of a horse. Our Personal Development workshops focus on a wide range of themes tailored to the specific needs and goals of each group. The final step of the EFW Canada certification process, this small group training helps you start and/ or enhance your practice in the EFW/ AAT fields through consolidating your learning to date, identifying and addressing any gaps in that learning, and finalising your EFW scope of practice and certification package. Most importantly of all we give you lots of guided and supported practice working with the horses, clients and each other. While the primary context in terms of certification requirements is the NAEFW model, there will be flexibility to discuss other models that you may be working towards. The week will include some individual mentoring time which will count towards the mentoring requirement for EFW Canada certification. We also review the EFW Canada requirements for grand parenting, mentor and trainer as applicable. We are frequently asked whether participants will be ‘certified’ after completing Healing Hooves Training. From the outset – and we have been offering training for over 15 years – we have resisted pressure to do this. We concur with and follow Canadian and international best standards on certification – International Standard ISO/IEC 17024 – that certification should come from independent and nationally recognised professional associations – and not from the organisations providing the training. This greatly enhances the credibility of the certification earned and better protects the interests of the people and horses we work with. You can read more about this subject in our article, The Certification Conundrum. There are a number of professional bodies in North America that offer and/ or are developing such certification processes which the Healing Hooves training programs are recognised by and qualify towards. Key among these is Equine Facilitated Wellness -Canada. These are collaborative non profit initiatives involving a wide range of experienced professionals from all aspects of the field. At the Exploration Workshop we review the current status of the various certification options, including the EFW-Can model, and help participants determine the path which best fits their scope of practice and goals in the areas of EFW and AAT. 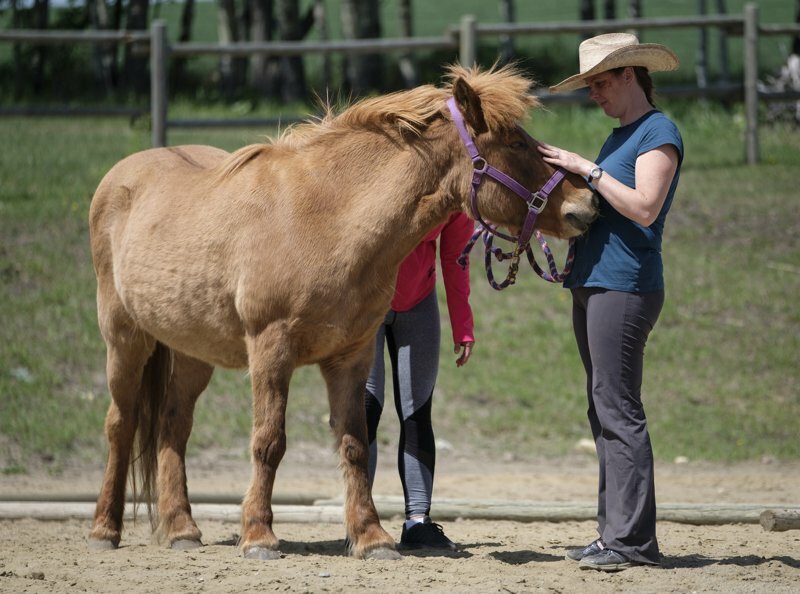 This small group experiential workshop, combined with a distance learning component, presents the theory and explores the growing fields of Equine Facilitated Wellness (EFW) and Animal Assisted Therapy (AAT). This workshop has been offered in various formats at Healing Hooves for over ten years and is the first step for anyone interested in learning more about EFW/ AAT. While this workshop introduces the work of Dr. Gordon Neufeld applied to EFW/AAT (the underlying approach at Healing Hooves), is the first training step and presents the national certification model developed by the National Association for Equine Facilitated Wellness, its focus remains broad; the aim is to explore and introduce a wide range of approaches and theories within the EFW/ AAT fields. This training includes a comprehensive training manual and materials, 15 hours distance learning component, 15 hours (two days) onsite workshop and optional post workshop assignments. Lunches and refreshments are provided for the onsite portion. Completion of this course serves as the pre requisite for entering the Healing Hooves Focus Training program described below. Location: Healing Hooves, near Calgary, AB. This small group intensive training opportunity is for people who have already completed an introductory training. Offered over two sessions of six days, with additional pre and post distance learning components, this training is firmly grounded in and explores the developmental and attachment based paradigm of Dr. Gordon Neufeld integrated into the Healing Hooves approach. Aspects of centered riding, T-Touch, and Connected groundwork are incorporated, co-facilitated by advanced instructors in these fields. While designed to meet steps 3 and 4 in the EFW Canada training program, this training has been offered in various formats at Healing Hooves for the past five years, can be attended as separate weeks, and separately from any particular certification model. Application of EFW with specific populations and needs including attachment disorders, trauma, abuse, eating disorders, family violence, anxiety, parent-child conflict and high risk behaviours. This training includes a comprehensive training manual and materials, distance learning component, ten days small group onsite workshop, two days guided integration days, and optional post workshop assignments. Lunches and refreshments are provided for the onsite portions. Our Personal Development workshops focus on a wide range of themes tailored to the specific needs and goals of each group. These may include: Finding emotional rest, boundaries and assertiveness, leadership, dependency and needs, anxiety and alarm, feeling safe, frustration, emotional expression, and understanding sensitivity. This year spend a weekend with us – and with each other. Mothers and daughters share a very special, if sometimes challenging, bond and connection that we believe should be cherised. This workshop aims to help you do just that – to deepen your understanding of each other, build a stronger relationship and simply enjoy some special time together in a healing environment. Feeling burnt out? Like nobody is ever there for you? When did you last have a real rest? Come join us for a weekend of rejuvenation and growth, where we take care of you for a change! This workshop is aimed specifically for people in the caregiver role either personally, as a parent or as a caregiver for an elderly parent or family member with special needs. It is also for those in professional caregiving roles, be it counsellor, social worker, health care professional, foster parent, teacher or anything else! If you are in both these roles then you definately need to come to this workshop! Please contact us for more details! The final step of the EFW-Canada certification process, this small group training helps you start and/ or enhance your practice in the EFW/ AAT fields through consolidating your learning to date, identifying and addressing any gaps in that learning, and finalising your EFW scope of practice and certification package. Most importantly of all we give you lots of guided and supported practice working with the horses, clients and each other. While the primary context in terms of certification requirements is the EFW-Canada model, there will be flexibility to discuss other models that you may be working towards. The week will include some individual mentoring time which will count towards the mentoring requirement for EFW-Canada certification. We also review the EFW-Canada requirements for grand parenting, mentor and trainer as applicable. The role and care of the horses in EFW is critical, both in terms of the nature of the experience for the client, and safety and ethical considerations for both client and horse. While there are many different approaches to working with horses, we have found, and EFW-Canada have defined, some key philosophies and principals that seem to work best for all involved… and that our horses love! 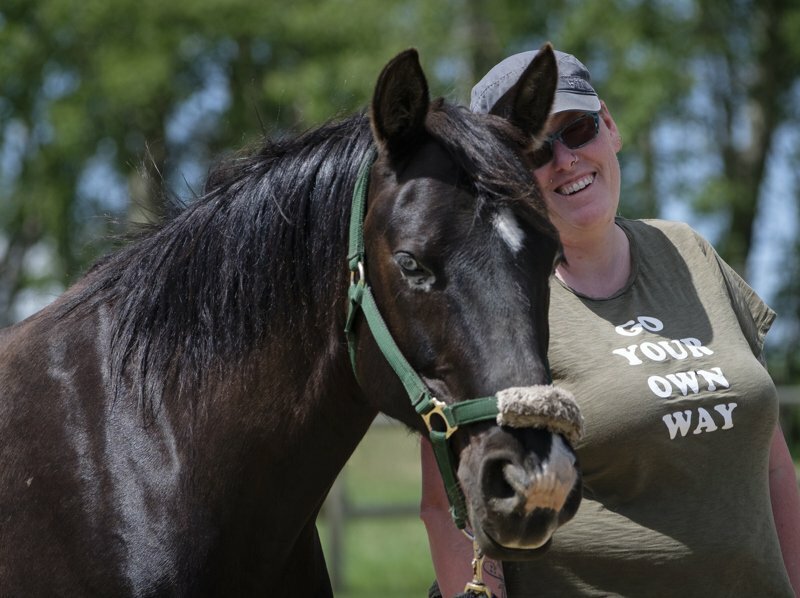 We have always incorporated dedicated horsemanship days into our Focus Trainings at Healing Hooves, led by our equine coach and advanced instructor in Centered Riding, TEAM and Connectedriding/ groundwork, Sue Falkner March. The EFW Canada core principals around safety and ethics are explored in terms of how they impact our relationships and interactions with our horses, both while with clients and behind the scenes. Just as with our clients, the aim is to understand our horses ‘from the inside out’, to understand and respond to their underlying needs and concerns, rather than to react to surface behaviours and symptoms. Since all of our trainings and workshops are limited to small group sizes and fill up quickly, please contact us to confirm availability and to request a registration form. Workshop Information – including current dates and costs – is updated regularly on the events page of our facebook page.